Huawei has equipped the MediaPad M5 lite with four speakers, certified by harman/kardon. 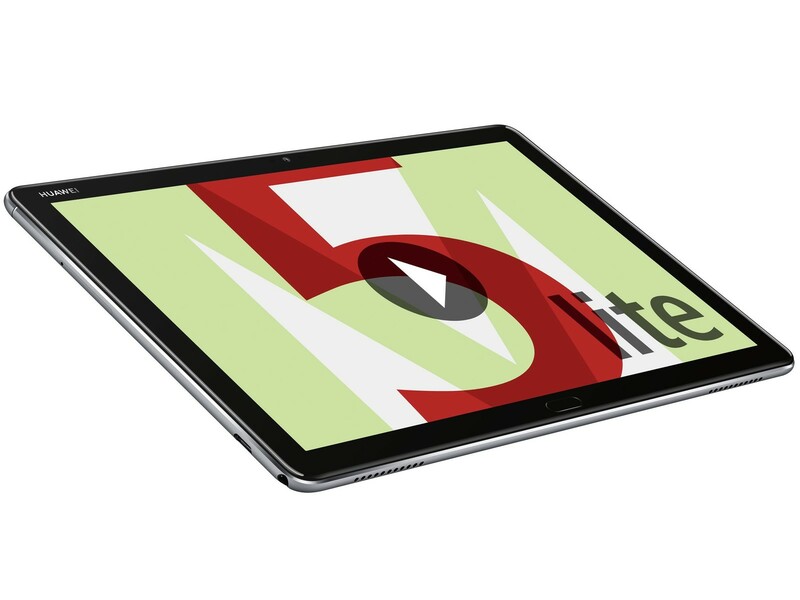 Buyers will receive a fancy-looking mid-range tablet with LTE support. Find out what else you can expect in exchange for about £270 (~$350) in our review. ARM Mali-T830 MP2: » Further information can be found in our Comparison of Mobile Graphics Cards and the corresponding Benchmark List. Kirin 659: » Further information can be found in our Comparison of Mobile Processsors.